If someone offers you the world, decline politely and run away. It is not theirs to give. If someone offers you unlimited bandwidth, storage space, speed, or traffic, do the same. However boring or mundane a sensible, reasonable offer may be, take it over the hyped-up one any day of the week. In the end, it is not the superlatives and hype that matter, rather common sense; brains ultimately triumph over brawn, and content is indeed king. It is not shear size or space that it going to keep clients coming back to your website, but what you do in that space, what you have to offer them, be it goods, services, or useful information. So let`s start with the basics of brawn, however boring, just so we are sure of the common terms we are about to discuss - it is a quick, relatively painless lesson; and then, we`ll know. A "bit" is the smallest unit of digital information, and consists of ones and zeros; this often translates to something being "on" or "off" - like a light or a pregnancy, there really is no in-between state, as much as we`d like there to be one. True or false makes a computer happy. 1,024 bytes equal 1 "kilobyte" (Kb). Why? Because the math is clean. We are working in a binary world here. 1,024 / 8 = 128; 128 / 8 = 16; and 16 / 8 = 2. The data cubes can be neatly packed and shipped this way. 1,024 kilobytes (Kb) are equal to 1 "megabyte" (MB or "Meg" as we like to call her.) As you can see, you get more bang for your buck in cyberspace, kind of like a "Baker`s Kilo" where you get 2 dozen extra every time! 1,024 megabytes are equal to 1 "gigabyte" (Gb or "Gig", something people used to dance about, but something that is now quite common). No one blinks at 10 Gig hard drives any more, do they? But what would all that information look like in a pile in the middle of your room? Would it even fit in your room? No one`s really sure, but we`ll come back to this later, anyway. 1,024 gigabytes are equal to 1 "terrabyte." Now "terra" is big! Almost incognito! Like a Terra-dactyl! Sorry about that. The fact is that this is as far and as big as we need to go - no web hosts offer terrabytes of anything - bandwidth, space, service or what-have-you. As usual, some people out there like to bend the rules, and use the old Kilo = only 1,000 equation; it`s best to check with the party in question to see what rules they are playing by. What do You Really Need? How Much is Enough? We are so used to wanting to get as much as we can for our money that we sometimes do not realize that we can never use it all. If that`s the case, why pay for it? Answer: because you don`t know how much is enough and how much is too much! If I`ll never be able to use it, why are they offering me so much? Answer: because (they know) you`ll never be able to use it! If MegaHost offers you a Gig of bandwidth and UltraHost offers you 500 Megs at the same price. Who you gonna call? Answer: it should depend on a number of other factors. Like their Customer Service? Are the lights on but nobody seems to be home? Nowadays, this seems to be the exception rather than the rule! Action: Email them! Ask them anything, and see if someone - a human! - gets back to you with a sensible answer. The fact is that more and more web hosts have the equipment required, but not the personnel. Check out their complete packages, what all they are offering you, what all you need, and then compare prices. If a few dollars a month really matters to you, perhaps you need to reconsider your business plan. So how much space do I really need, then? Answer: it depends. Work it out. Calculate your page sizes and add them up. If you have too many pages to be bothered doing this, "guesstimate" your average page size first. The average web page on HostSearch, for example, uses about 50 kilobytes of space, some less, some a little more, and this includes a fair number of graphic images, which we are sure to make as small as possible. This means that we could fit about 20 HostSearch pages into a single megabyte of space. If you were to purchase 100 megabytes of space from a web host, then you could fit the equivalent of 2,000 HostSearch pages into your web site! Many sites are small and modest - you are not Microsoft after all! - and do not need more than 10 or 20 megabytes of space max. Still, some websites may require more, for the following reasons: graphics and dynamic content, such as multimedia files. Always ask yourself, "Do I need all these graphics or multimedia files?" "How can I make my pages smaller?" "Do I need all these tables?" "Should I split this page into a number of smaller pages?" The average graphic uses between 5 Kb and 50 Kb of space alone. Always check your graphic sizes and use a good graphics program to make them as small as possible - "Save for Web" is a great new feature of many graphics programs. If a web site has many different graphics, then it will certainly need more space. Also, some web sites have message forums. These forums can generate web pages very quickly and obviously require more space. Another reason you may need more web space is if you are offering software or other products or files for your visitors to download. You would then need to store these products within your allotted web space and again, all these items will take more space. So, figure out how much space you are currently using and then approximate how much you think your site may grow from here. If you do not yet have your web site finished, or are not experienced in this area, or hate anything to do with numbers, it may be somewhat more difficult to decide how much space you will need. In this case, HostSearch recommends that you start with around 20 megabytes of web space. This should give you more then enough room to move, and you will not have to pay too much for this amount of space. If your site is obviously very small, mostly text, and free of graphics, you can probably host your site on 2 MB of space, which is about 200 pages of text. For most average sites, 50 to 100 MB is an awful lot of space. Cyber-malls and big Net Communities may require approximately 200 to 400 MBs of space, but do you? In general, 1 MB equals about 100 pages of text. If your web site does eventually use up the space you bought, fear not: you should easily be able to purchase more space from your current host. 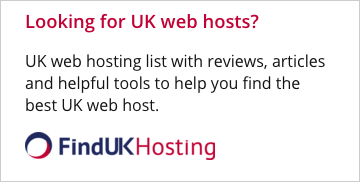 Thus, it is important when searching for a web host to make sure you find one that makes it easy to upgrade and does not charge extra fees for doing so, outside of the cost of the upgraded package of course. What about Bandwidth and Data Transfer? The other big buzzword for web hosting these days is "bandwidth," not to be confused with "data transfer." All kinds of numbers and loose interpretations are bandied about. So what is it, anyway, and how much of this do I need? If you have a heavily trafficked site, you will certainly require a large amount of bandwidth and data transfer each month. You should also be aware of the differences between bandwidth and data transfer, as some hosts will blur these into one feature for the unknowing. Bandwidth and data transfer are in fact different! Look at it this way. Imagine bandwidth as a water pipe. The bigger the pipe, the more water you can potentially get through it. Whether you`re gonna need or use all that water is another issue! Data transfer is the amount of water that passes through your pipe. This is an example data transfer limit --> 1GB per account. I know that some web hosts used the word "bandwidth" to refer to data transfer. That confuses people (including me before!). When you load a HostSearch web page, for example (recalling the average HostSearch page is 50 Kb), you are downloading 50 Kb of data. How this adds up is the same as we noted above when discussing web space. A 50 Kb web page can be loaded 20 times before using a single megabyte. Be sure to remember that each file within a page is calculated also. So if you were to have a 20 Kb web page (HTML file) that also included three 10 Kb images, then every time the page was visited, 50 kb of data transfer would be used: 20 kilobytes for the page and 30 kilobytes for the images. Very straightforward indeed. If designed correctly, a web site can be very successful and receive many visitors, 24 hours a day, 7 days a week, and still not come close to their data transfer limit. In fact, some of the most successful and popular pages on the Web are very small, Yahoo!`s homepage for example. Most people can do without the bells and whistles, and the waiting time involved for over-designed and over-stuffed pages. Remember that your success is dependent on how you develop, promote, care for, and remain dedicated to the task at hand - your site. If you care about the success of your web site, then you will care enough to educate yourself about what it is your web site really needs. This includes finding a host that will meet those needs efficiently and honestly. With data transfer, it is equally simple to guesstimate how much you will need if you have an existing web site: by checking your current usage and evaluating it from there. Multiply the size of your biggest page with all the graphics by the number of impressions your site is getting, or will get. For example: 50 Kb X 10,000 = 500,000 Kb; in other words you`ll need 500 Megs if your site generates 10,000 page views monthly. Never settle for less than 1 Gigabyte. For the first timer, determining bandwidth and data transfer needs may be a bit more difficult. HostSearch`s recommendation: 2 gigabytes of data transfer per month is usually more than enough to start out and big enough to allow your site room to develop and grow. This is included, at no extra charge, with the majority of packages most web hosts offer. If the host is not offering a minimum of 2 gigabytes, you may want to shop around a bit more and find one who does. Again, you will want to make sure the host you choose allows room for growth in case your site does end up requiring more than anticipated. Remember, just as with space, if a site contains an enormous amount of images, message forums, or other products for download, your bandwidth and data transfer needs will be higher. Many web hosting companies will promise you "unlimited" traffic, but you must check carefully to see what they mean by "unlimited". Hosts that are currently promising you unlimited bandwidth or data transfer are either not being honest with you, have many hidden restrictions they are hoping you will not notice, or simply are not educated themselves, and are possibly risking their entire business on the hope that their clients will not get that much traffic. Once you exceed a certain quota, they may start charging you. Read the fine print. 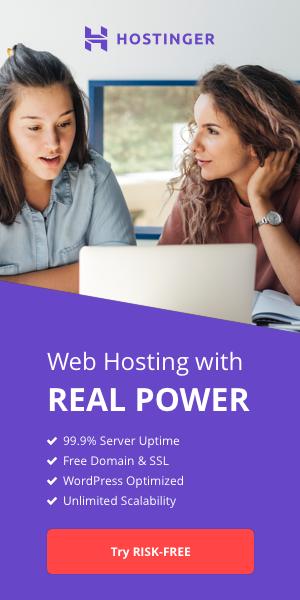 Any webhost that offers unlimited anything will usually have a little asterisk and when you follow that asterisk, you will find that there is indeed a limit. Caveat emptor (let the buyer beware): if a web host claims to offer you a certain amount of hits, transfers, or page views, they are either showing a lack of education with respect to their business, or they are assuming that you, their potential client, are not educated enough to know what these terms mean. A hit means someone has downloaded a file from your web site; a page view means someone has visited your web page; and a transfer is the same as a hit. The host is actually referring to data transfer when they make this offer. The problem with the offer is that there is no way for the host to know what size each of your files will be. Therefore, there is no way for them to predict how many hits, transfers, or page views they will be able to offer you. We recommend that you either avoid a host making these claims or at least question them to confirm exactly how it is they calculate a hit, a transfer, or a page view in terms of data transfer. Finally, any web site that needs more then 15 gigabytes of data transfer per month should be on what is called a "dedicated" server. Dedicated servers are servers that host only your site; they do not share the resources with other sites. These are more expensive than "shared" or "community" hosting, as you would expect, but if you care about your site`s success and are using more then 15 gigabytes of data transfer, then dedicated is the way for you to go. And remember: when you search for a company on HostSearch to meet your needs, your search results will contain a link to much of this information about different web hosts, so you can compare and make an informed decision as to what is best for you.